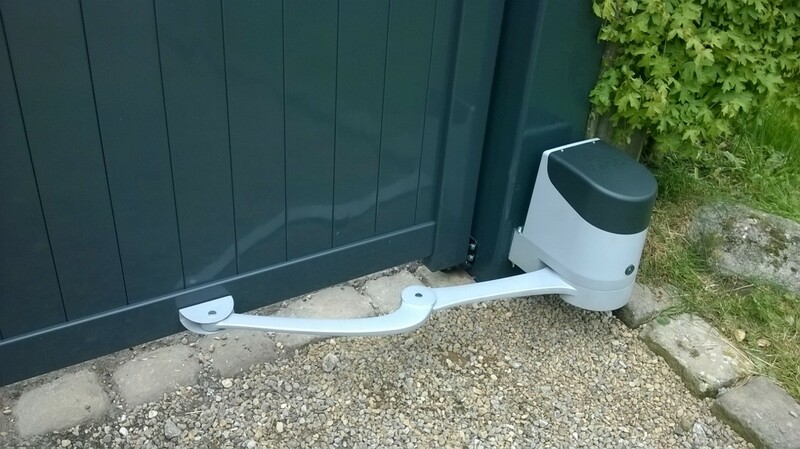 Swing gates use motors fixed to the static pillars, posts or in the ground. They have an arm that connects them to the gate. The motor moves the arm which pushes or pulls the gate open or closed. As the gate is effectively a lever, less force is required to move the gates if the arm is mounted on the gate further from the hinges. If the gate motor arm attaches to the gate nearer the pivot point (hinges), a larger force is required to move the gates. Unlike sliding gate motors, the principles of swing gate motor operation vary. The following lists the various swing gate motor styles, their operation principles and their strengths and weaknesses. Ram motors’ long, thin bodies and arms provide a relatively unobtrusive gate automation installation. The motor body contains a hydraulic piston that is pushed out of, and pulled back into the body during operation. The end of the motor body is attached to the gate post or pillar and the end of the piston arm is attached to the gate. With the piston full retracted, the gate is open. The gate is closed by pushing the piston out of the motor body. Hydraulic rams are quite an efficient method to automate gates as the piston arm mounts to the gate a good distance from the hinges. However, as the assembly is affected by oblique pressure on the piston, the installation has to be aligned carefully. If hydraulic rams leak, they lose operational force, so they should be inspected every six months by a professional. 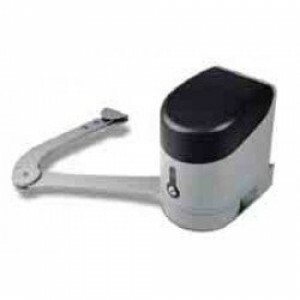 All swing gate motors need regular lubrication of motor mounting points. 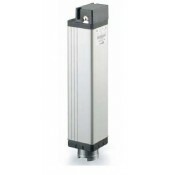 Linear screw motors often appear to be just a long, slim motor housing with no arm. However, the arm is contained within the motor housing and is a threaded shaft. This can be seen through a wide slit in the gate motor housing. The gate attachment point is internally threaded and mounted on the threaded arm. The gate motor rotates the threaded shaft and because the mounting point is fixed to the gate, it is screwed along the shaft and pushes the gate open or closed. Like rams, linear screw motors need careful alignment during installation. They are also strong motors capable of automating large and heavy gates. 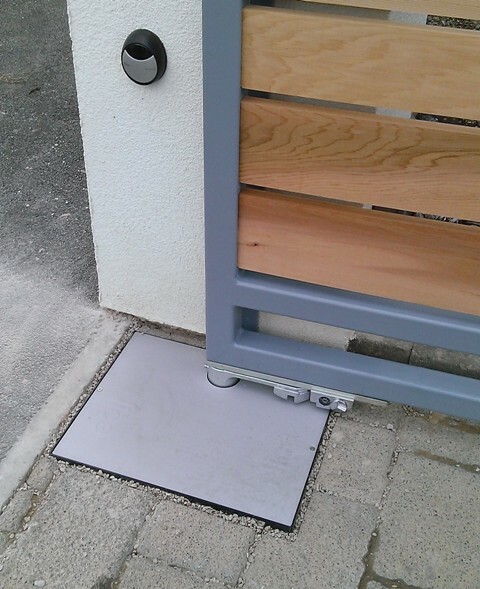 Underground gate motors are very discrete. It's usually just the arm connecting the motor to the gate and the lid of the motor housing that are visible. However, underground gate motors cannot be submerged in water for extended periods of time so adequate drainage must be provided during installation. Also, underground gate motors act as the bottom hinge for a swing gate so their geometry requires accurate installation. Underground gate motors also need to be strong as they impart their turning force to the gate at the closest possible point to the hinge. Articulated arm motors have a jointed metal arm attached to a motor output. The motor housing is mounted to the gate post and the end of the arm is attached to the gate. When the motor turns, the articulated arm opens or closes the gate. 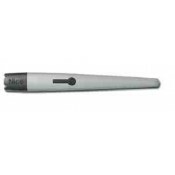 Articulated arms tend to be a little more tolerant of slight installation inaccuracies than rams and linear screws. Also, like rams, the gate mounting is further from the gate hinge, so less force is required to open and close gates. Articulated arms use a jointed arm that closes up as the gate opens. 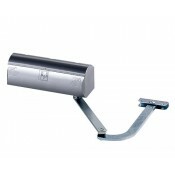 This can trap anything caught in it and should be considered when planning gate automation safety.